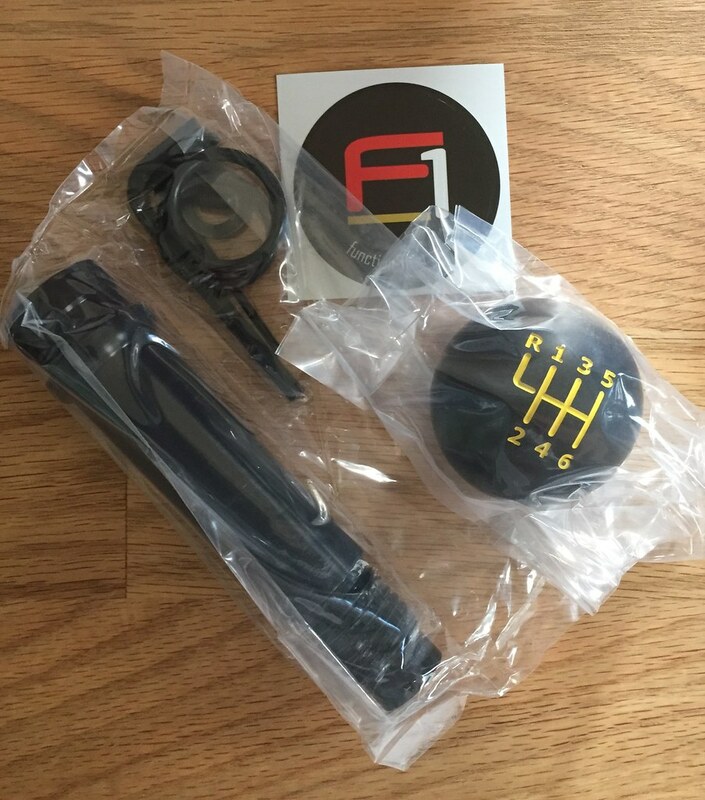 You have inspired me to check, and my Function First shifter arrived in the UK yesterday, should be here shortly - doubtless with a customs fee to pay. 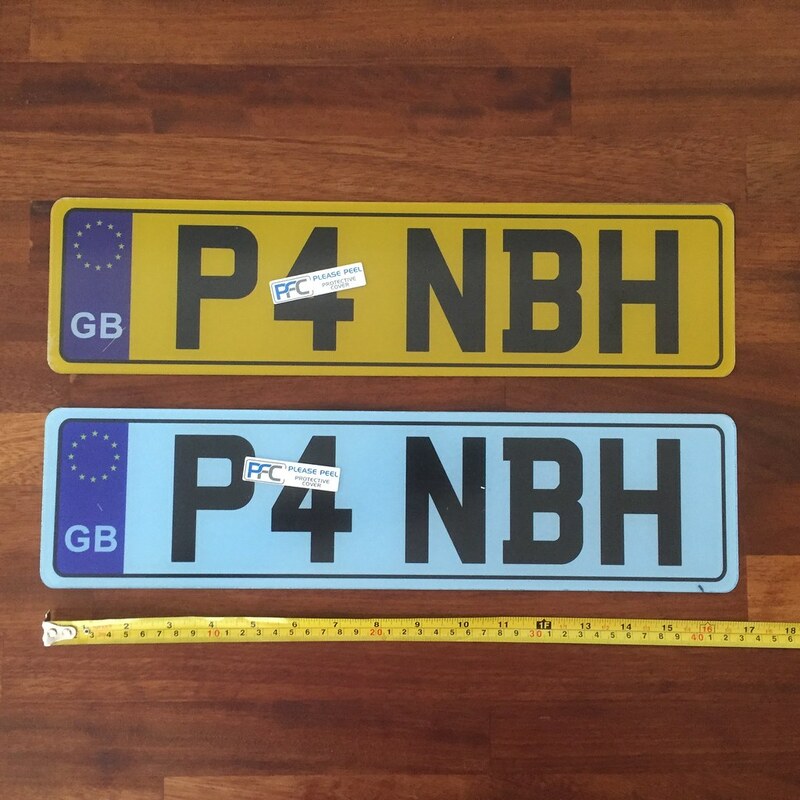 Plates have arrived - very impressed with the quality, speed of delivery etc. They've done both at 17", which I hadn't expected - I'd only asked for the front to be short. That said, it makes sense to have both the same size, I'll have to stick it on to see how it looks. Looking at it through the plastic bag, very high - really quite impressed. Saw the car today when i handed the shifter over, front bumper off, spoiler off, bonnet rubbed back - looked a bit forlorn, like a car in a breakers advert. Paint will be done by next week, then it's the handbrake, shifter boot and fixing the roof. Hopefully I can collect it next weekend. Time to pull the trigger on my order! Did you buy direct or on eBay? Did you get badly stung by customs? No - i got off lightly I think, £19.06 charge to pay when I picked the package up from the sorting office. Function First marked the package value as $50, which I suspect helped! Note: I didn't ask them to do that. Hopefully I can collect it next weekend. Shifter looks good. I can't decide whether to add it to my shopping list for over winter or not. I've never once thought "That's in a weird position" about the factory one and it's definitely a mod that can't be passed off as a factory option. Yellow gate pattern is cool though. Interesting mod. I await your report on it once it's in use. I did turn this one over and over in my mind before going ahead- as you say, it’s definitely not factory. Ultimately it’s easy to revert to stock if I don’t like it- and it’s a nod to the older cars. I’ll make a full report when I get the car back. Hah! I’ll give you first refusal if I don’t like it. Where did you get the 17" plates from? Where they custom made? Anyone else tried this? I love this idea. This the extended version?